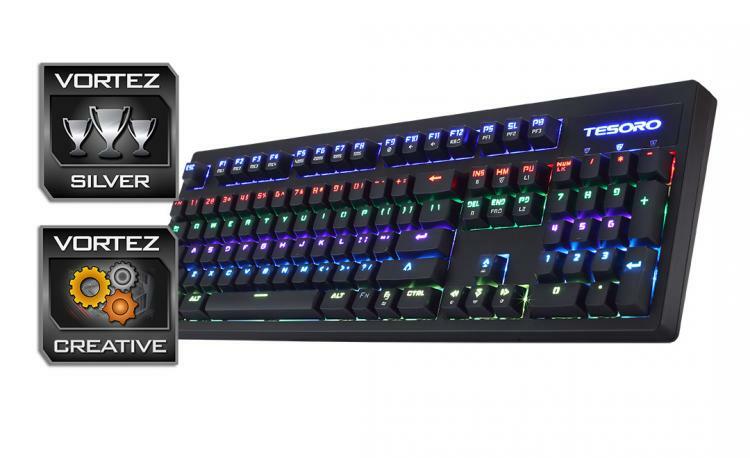 This keyboard delivers a strong statement for Tesoro and the future of mechanical gaming keyboards. Though the implementation of the optical switches in the Excalibur keyboard is a big of a mixed bag, especially when compared to the original Excalibur keyboard. The construction hasn't changed much over the original, nor is it 'better' in any sense when compared to similarly priced competitors. Of the changes that they have made, they are accompanied by a negative balance. Such as the improved, high quality keycaps that feature a 'spaceship' style font that looks awful and confusing. Another positive change is that it's now driverless, again balanced by the inefficient layout of the Fn commands. Finally, the LED RGB lighting could be a little brighter and more vibrant. Priced at $99, this has some strong competition from the likes of the Cooler Master MasterKey Pro L RGB, the ROCCAT Suora, and the HyperX Alloy FPS. So in features and even aesthetics, it misses the mark a little. All its redeeming strengths come directly from the implemented optical switches; something you might have assumed would cost more. The optical switches give a significantly huge advantage in terms of responsiveness over traditional mechanical switches. They are highly durable (rated for 100 million keystrokes. Also, the future possibility of swapping out and changing between different switch types, thanks to the switches being hot-swappable. This is another aspect which will increase the appeal to many people. Given the pros and cons, the Tesoro Excalibur SE Spectrum is a keyboard that has an abundance of slightly annoying nuances, of which all are redeemed by the fact it features blazingly fast optical switches set in a durable, compact frame. Tesoro convince us that optical switches are the future for gaming keyboards due to their super-fast responsiveness and durability.